Wounded in love, tormented by his past, Shakespeare's most complex villain is brought magnificently to life in this tale of two adversaries-one an accused killer; the other, one of the most powerful men in Venice. Having escaped from Cyprus, accused of the murders of the governor, known as the Moor, and his lovely young wife, Iago is now locked in battle with Annibale Malipiero, known as Il Terribile, the chief inquisitor of Italy's greatest city. Malipiero is repelled by the more brutal tasks of the interrogante. His obsession is with the very nature of evil. What makes a man into a murderer, he longs to know? Is Iago a lone psychopath, or does he lie at the heart of a more widespread Ottoman conspiracy? Malipiero knows that torture will not provide him with the answers he seeks. But there is, perhaps, a more audacious and unusual route to the truth . 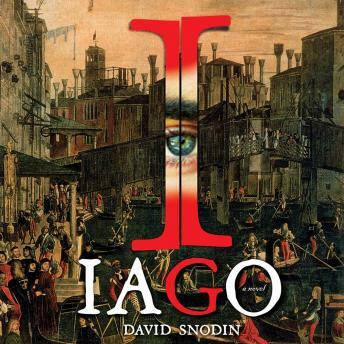 . .
Exuberantly inventive, thrillingly complex, and richly entertaining, Iago will captivate fans already familiar with Shakespeare and appeal to anyone who loves a rich historical novel. Iago marks the emergence of a remarkable new literary voice.